The summer is just around the corner and it is time to tighten up those bodies! Changing the diet and going through tedious exercises every day is a real drag and everyone wants only the fastest possible ways to lose weight. Luckily, there are some ways of getting the desired weight right now. Well, almost now. Your diet should always be healthy and you should never go to extreme measures when it comes to eating. This is not a strict diet protocol to keep up; you just need to occasionally detoxify your body. And the best way to do it is by drinking a fresh detoxifying smoothie instead of a breakfast, for example. 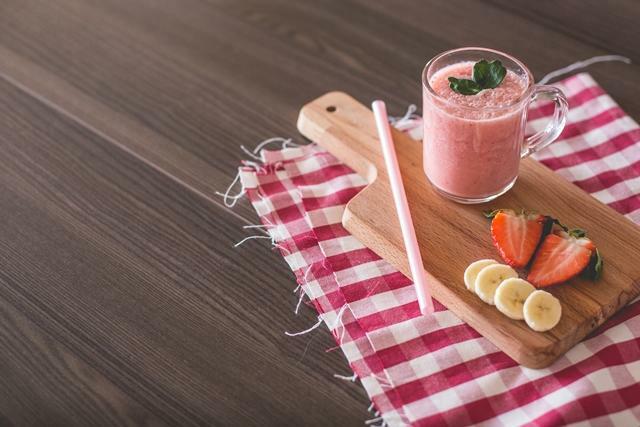 Refreshing smoothies made out of natural ingredients only, will help you with the weight loss and it will keep your digestive system fully functioning in the proper way, giving your metabolism a nice boost. Caffeine is good for waking up the mind and the body, but you want to be careful with it. The source of caffeine will greatly affect your detoxifying, so if you want fast results, you have to make a few changes. Occasional coffee is okay, just to satisfy your cravings, but you might want to replace it with green tea. This caffeine boost is filled with natural antioxidants that your body needs to stay healthy and awake, so try drinking it every morning. The taste is quite different than the one of the coffee, which actually may be another great way to wake up in the morning. 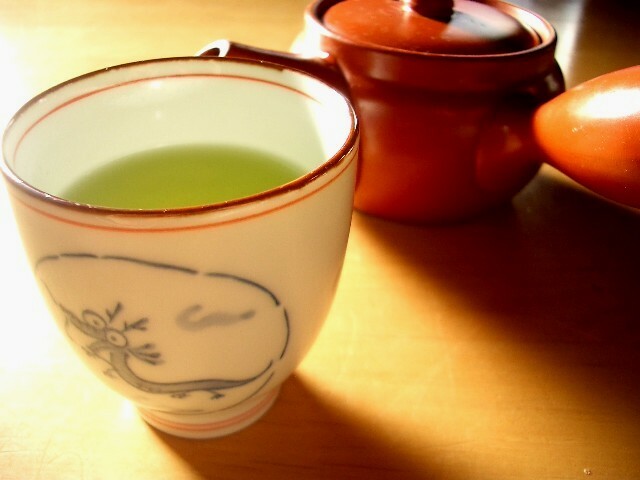 Get the jump start of the day and get some actual health benefits with a warm cup of green tea every day. Guess there is no escape from exercising when losing weight. However, you do not have to spend hours and hours doing the crunches and push ups; you just need to adjust the repertoire a bit. The most important thing when exercising is doing it right, of course, and sweating it out. Try focusing on some cardio exercises that involve a lot of jumping and moving around. Not only will you get in shape fast by burning fat, but you will also stay fit, ready for action and eliminate the harmful toxins from your body. However, if the days and weeks of working out have still left you with some unwanted fat you might want to try other quicker options. One of them includes the now popular skin tightening. It is a non-invasive procedure that involves and applicator treating the problematic areas and it guarantees fast results. For a successful detox you will have to make some sacrifices, and that includes cutting out the sugar. Sure it tastes perfect and gets you in a good mood, but it is actually quite bad for you body. When you increase the intake of the sugar, your body creates more insulin which causes your pancreas to wear out. And with the dysfunctional pancreas, you are risking the chances of getting a cancer, diabetes and excess weight. Do your pancreas a favour and ditch the sugars (including all the junk and processed foods) and you will start seeing the changes immediately. Yoga is today’s most popular way of staying fit and healthy. There are probably yoga centres in your town, so join one and shape up really fast. Also, if you do not have the time or money for yoga classes, you can always practice some poses at home and tone your muscles. Warrior, cat-cow and downward-facing dog poses will only take up 15 minutes of your time, but promise you great results in the future. Sleep deprivation can actually lead to weight gain, among other bad things. It weakens your immune system, drains your energy and makes you overeat because of the slight depression. To avoid this horrible thing you have to work on your sleep habits. Try and get at least eight hours of sleep each night. If you do not succeed at night, compromise with a quick power nap during the day. It is important for your body to get the chance to repair and rebuild the system so you could function properly and have a perfect body. Stress is the first indication that your body is not operating at its optimal level. You have to learn how to relax and let go, in order to avoid gaining weight, being on the edge and maybe even suffering from a nervous breakdown. When stressed, your body holds onto the harmful toxins which will slow it down and drive you crazy. In order to naturally cleanse yourself from toxins, take up some relaxing hobbies, long baths or meditation in order to free your mind and restore balance. Not feeling ready for a summer detox? Well, here are the seven ways to successfully make your body and mind ready for the vacation and show off at the beach. Make some changes and be the star of the summer.